It’s been a month since I last visited by 2016 Oscar predictions page, but as I wait around to see the last of 2015’s major contenders in The Revenant and The Hateful Eight, as well as continue to cram in screeners to finish my best of 2015 list, I thought it was a good time to see where I went right and where I went very wrong in my original predictions list from November. 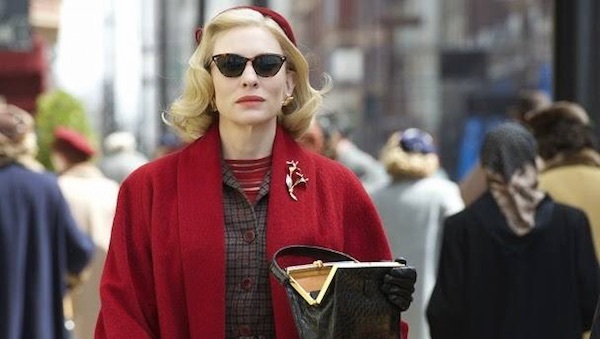 The biggest winner from the last few weeks of pre-cursors, in my mind, is Todd Haynes’ Carol, which won many critics prizes for Best Picture, among other categories. It also earned some Golden Globe nominations and a lot of SAG love. I also think The Big Short has transformed itself from fringe contender to major player in a host of categories, including Best Picture. It makes me really happy to be able to include both of these films in the Oscar conversation because, well, they’re the best of the year, as far as I’m concerned. Joy looks like a major Oscar bust, but Jennifer Lawrence could still sneak into the Best Actress field. Meanwhile, The Hateful Eight is a major question mark for me. It hasn’t done too much yet, but it has so many craft elements that Oscar voters ought to fall for. Nothing would surprise me with that film at this point, though I’ve removed it from my Best Picture predictions for now.